This is definitely a new twist on how to market your comic book superhero film. The promos for Deadpool have been memorable for lots of different reasons–with their willingness to sexualize their lead male character in ways (and poses) that have typically only fallen to female characters in the past. 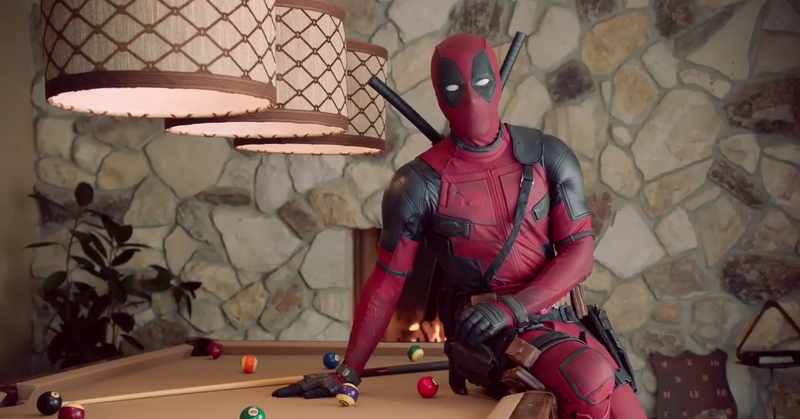 But this latest set of PSAs coming down the pipeline from the Deadpool movie (as well as its star, Ryan Reynolds) are so surprisingly fitting we can’t believe we didn’t see them coming a mile away. Given that Deadpool’s alter ego, Wade Wilson, had originally been diagnosed with terminal cancer before choosing to undergo the procedure that turned him into the Merc with a Mouth, it makes total sense that he’d be using his reach now to spread the message about testicular and breast cancer awareness. And it promotes an important message–though you might be left chuckling and shaking your head in the process.